Task team appointed to solve RK Khan Hospital monkey invasion - SABC News - Breaking news, special reports, world, business, sport coverage of all South African current events. Africa's news leader. Community members and visitors at the hospital say the monkey invasion has been going on for more than a year. Health Minister Aaron Motsoaledi has announced the appointment of a special task team to find a way to remove monkeys invading the RK Khan Hospital in Chatsworth, south of Durban. 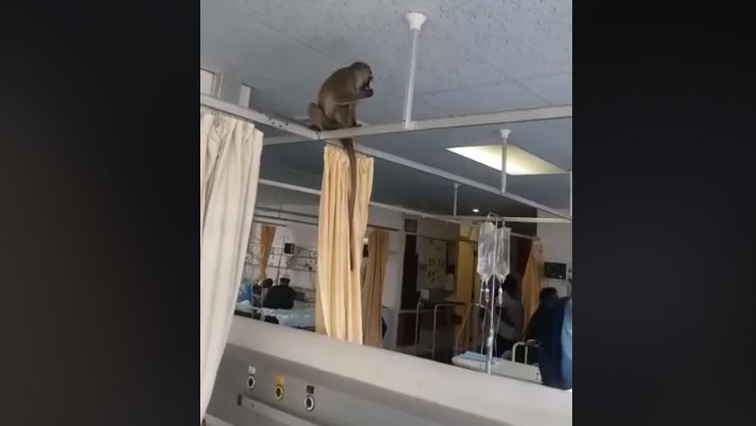 Motsoaledi visited the facility after a video had gone viral on social networks, showing monkeys loitering near the hospital and others playing inside a ward, packed with patients. Motsoaledi says measures should be put in place to ensure the safety of patients. They are worried about the health and safety of their loved ones. This entry was posted on 07 Feb 2019,06:10AM at 6:10 AM and is filed under Sci-tech, Homepage Latest Stories Slider. You can follow any responses to this entry through the RSS 2.0 feed. Both comments and pings are currently closed.